The foreign policy of every individual country in the world is geared toward the achievement of specific goals that would benefit that country. The benefits are in various fields. However, in some cases, the desired goals are not achieved. Other times, though the desired goals are attained, they are a cost. Sierra Leone's foreign policy has experienced some disadvantages which are discussed below. One of the disadvantages of Sierra Leone’s foreign policy is that the nation has become over-dependent on monetary inflow from outside the country. The country is indebted to Breton Wood institutions like the International Monetary Fund and the World Bank. This might affect its ability to manage its debt portfolio. Apart from this, many international organizations continue to support Sierra Leone’s effort at rebuilding the nation after the protracted Civil War. Organizations like the Japan International Cooperation Agency (JICA), the Korea International Cooperation Agency (KOICA), USAID and UKAID have continued to fund many projects in the country. This has resulted in Sierra Leone over-depending on money from outside. 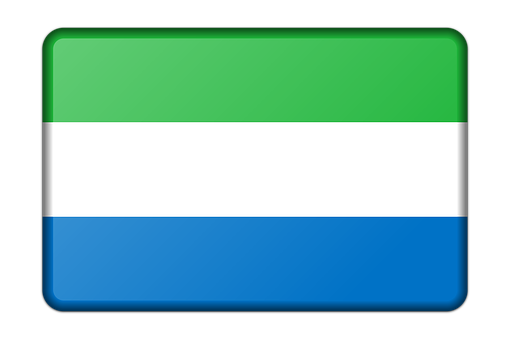 Another disadvantage of Sierra Leone’s foreign policy is that there is a huge trade imbalance between the tiny West African state and her trading partners. According to the World Integrated Trade Solutions (WITS) a United States World Bank Group’s statistics on trade summary for Sierra Leone in 2016, Sierra Leone exported 363 products worth $466 millions. This was far less than her imports of 2,290 products worth $958 million. For an African country with less economic muscles, economic diplomacy has opened the economy too widely and as a result more goods are imported than exported, leading to trade deficits. Another disadvantage of Sierra Leone’s foreign policy is that it is very expensive to operate. In Sierra Leone, as in many other countries, there is a whole ministry spear-heading the foreign policy drive. Infrastructure to house the ministry, salaries of competent staff to run the ministry, building or renting building in foreign lands to operate embassies or High Commissions all come with a cost to the nation. Not to talk about payment of salaries and emoluments for staff of the Ministry of Foreign Affairs on foreign missions in several countries in the world. This is really expensive. Also, sensitive parts of the Sierra Leone economy could be taken over or may just be dominated by bigger economies. The Sierra Leone foreign policy encourages bilateral and multilateral agreements with many of the major economies of the world including the United States, China, Japan, South Korea, Britain and other World Bank Groups. These large economies sometimes just target some lucrative areas of the Sierra Leone economy. To this end, the agreements are skewed to allow them take the commanding heights of those areas of the economy. In the end, huge profits are siphoned home annually to the detriment of Sierra Leone. Again, there is a danger of losing some national assets of the nation if attention is not paid to details in the signing of some bilateral agreements. In the pursuit of economic diplomacy, some donor countries include a clause that if the country defaults on scheduled payments, the borrowing nation must forfeit a named asset of the country. The fear is that if this unforeseen situation happens, the nation of Sierra Leone would be the loser.